For over 33 years, I have been providing superior counsel and advocacy for small businesses and individuals. I have the perspective, knowledge and skill that can only be gained through personally handling thousands of matters for clients as they go through the myriad interactions of modern life. 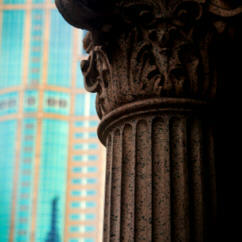 I have concentrated my work, and therefore have special expertise, in the areas of business and real estate law. As you explore further, you will see a sampling of the issues that I tackle on a daily basis. My depth of experience goes far beyond these pages. What sets me apart from some others is my fierce commitment to serving my clients, and treating each one in a fair and respectful manner. That is why so many have returned to me for additional matters and referred friends and family to me. I look forward to hearing from you and discussing your particular issues in greater detail. Taubman Law, PLLC is available to represent individuals and companies in Southeast Michigan and throughout the United States in federal and state courts including Detroit, Dearborn, Livonia, Pontiac, West Bloomfield, Farmington Hills, Waterford, Rochester Hills, Novi, Troy, Southfield, Warren, Sterling Heights, St. Clair Shores, Ann Arbor, Flint, and all cities within Oakland County, Wayne County, Macomb County, Genesee County, Lapeer County, Livingston County, Washtenaw County and Monroe County.